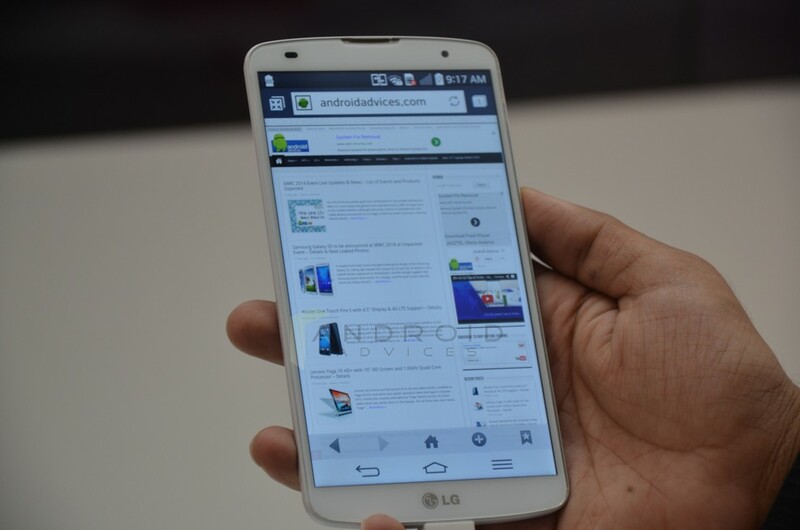 LG has launched the all awaited G Pro 2 Android phablet in India for Rs. 51,500, after the announcement earlier this year in an event. 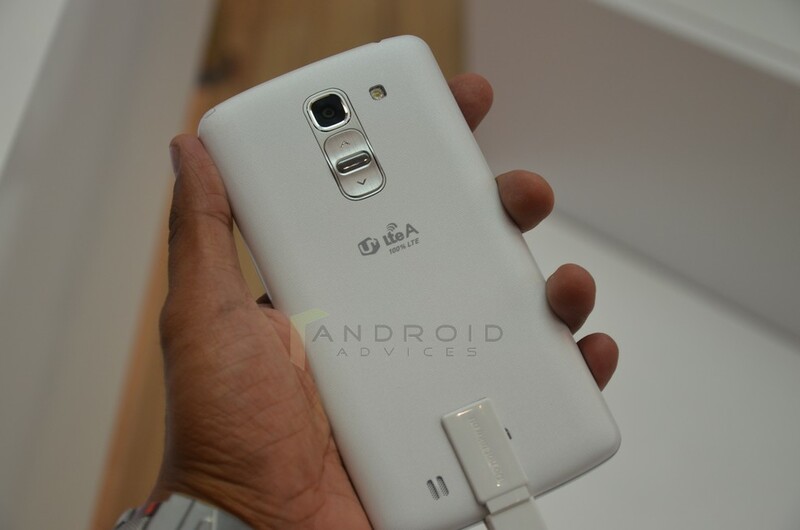 The company has seen the success of the LG Optimus G Pro that was launched last year in India. The device comes with a sleek design as we have seen the G line up devices and has a 3.3 mm narrow bezel for giving more area on to the display for better edge to edge viewing. 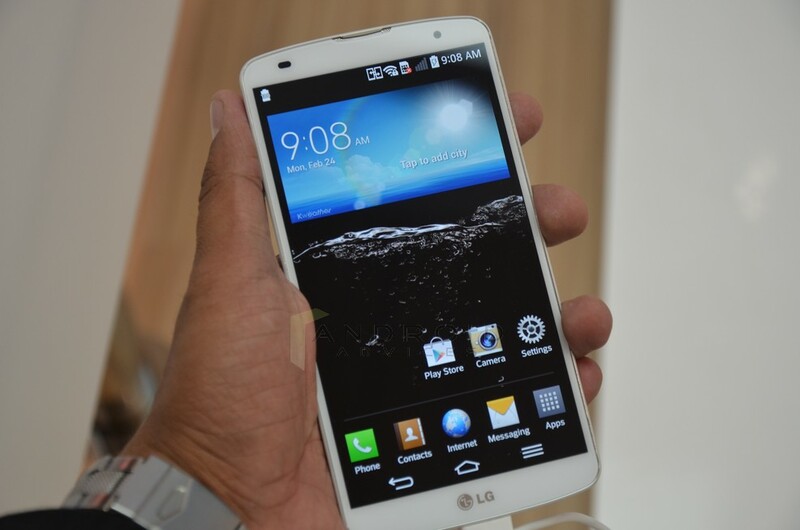 The LG G Pro 2 flaunts a huge 5.9 inch capacitive touch screen display with 1920 x 1080 pixel resolutions and will be running on latest Android 4.4 KitKat Operating system. The device is powered by a 2.26 GHz quad-core Snapdragon 800 processor coupled with Adreno 330 GPU and 3 GB of RAM. This handset has a 3,200 mAh battery on the back to power the device. The LG G Pro 2 has a 13 MP rear facing camera with OIS+ technology and is capable of recording 4K videos and there is a 2.1 MP front facing camera for video calling. The on-board memory of the device is at 16 GB / 32 GB that can be further extendable with micro SD card slot. The connectivity of the device includes LTE / 3G HSPA+, WiFi 802.11 ac/a/b/g/n, Bluetooth 4.0 with A2DP, GPS / aGPS, NFC, SlimPort. The LG G Pro 2 comes with many other features like the Knock Code for giving high security, and also has Watt Hi-Fi Sound with Visual Mixer that gives the user studio quality sound with the ability to tone and speed. The dual browser features divides the screen in to two different windows for easier multitasking and also has the Quick Window case 2.0 that allows you to call directly from the small window. The device will be coming with A Quad Beat 2 headphone for better and detailed sound quality and will be available in White and Titan Black colour variants. The device will be available from all the LG Shoppes and is priced at Rs. 51,500 in India.